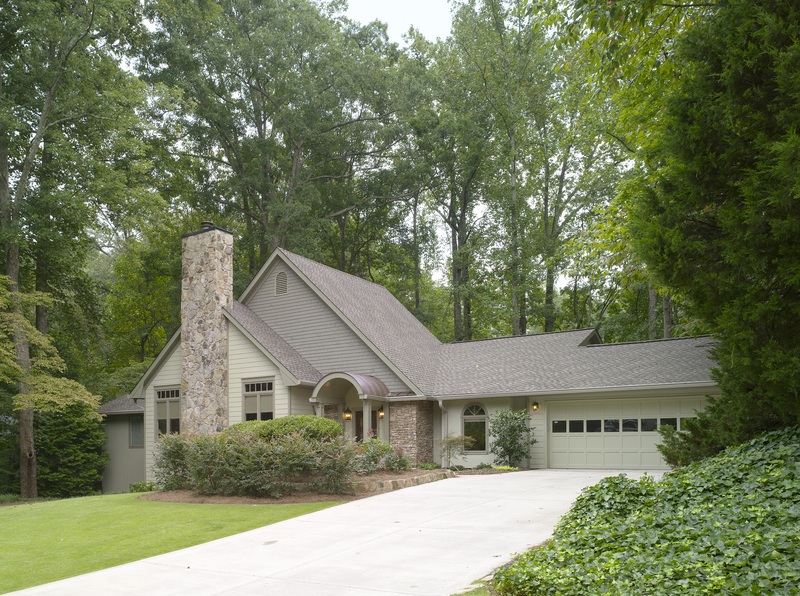 Our clients wanted to achieve several goals with this whole home remodel. They had a front stoop foundation leak problem that needed to be fixed. 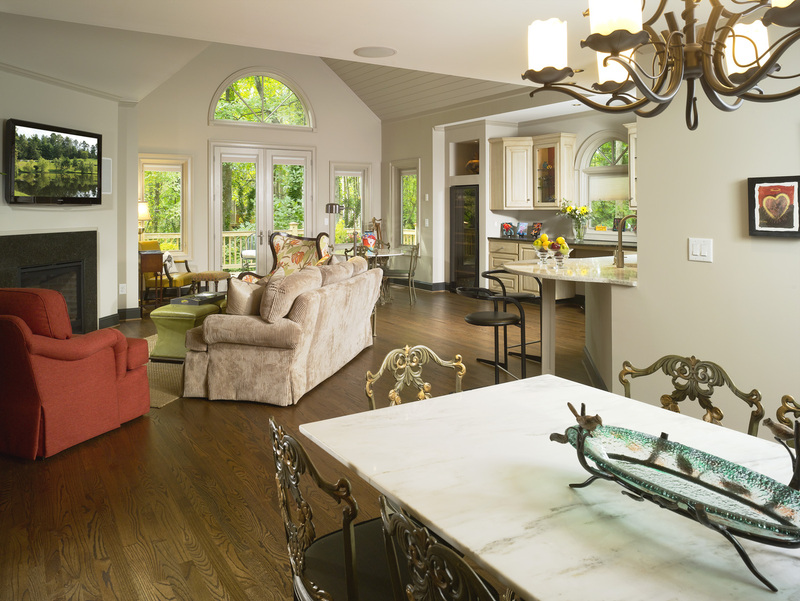 They also wanted to eliminate the stippled ceilings, add a family room open to the kitchen, and a custom created location to display a beautiful glass sculpture. 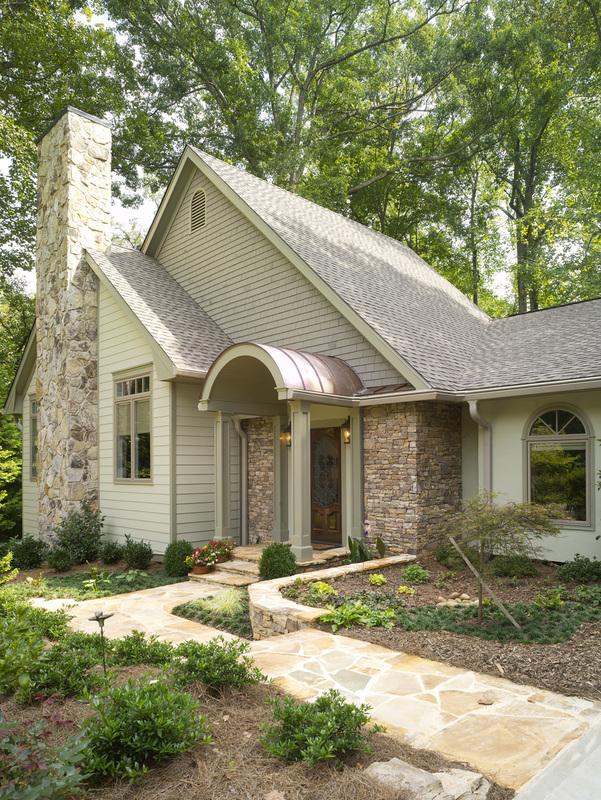 As a design build firm, our additional objective was to create a more inviting street/entry elevation. 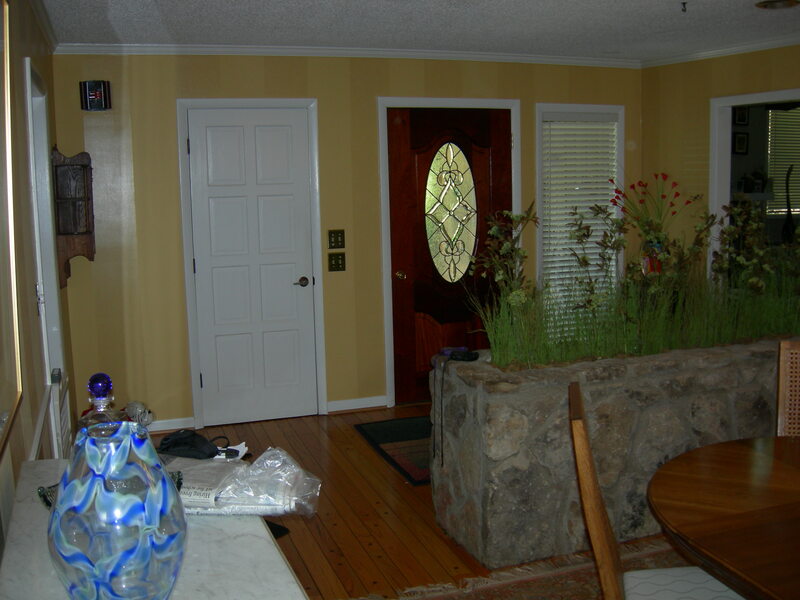 We visualized a front entry that added charm rather than a front door that dumped guests into the dining room at an old stone planter. 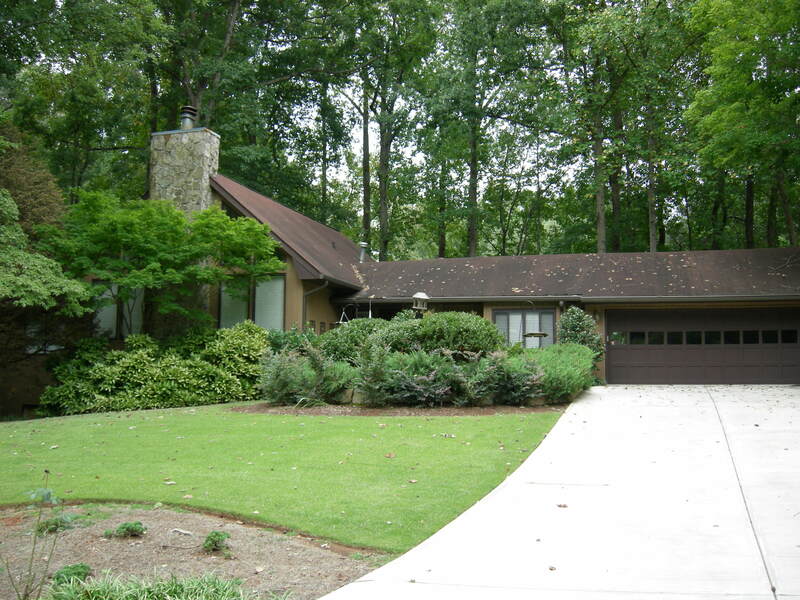 By creating a functional, exciting new front entry, we solved both the water and aesthetics issues. 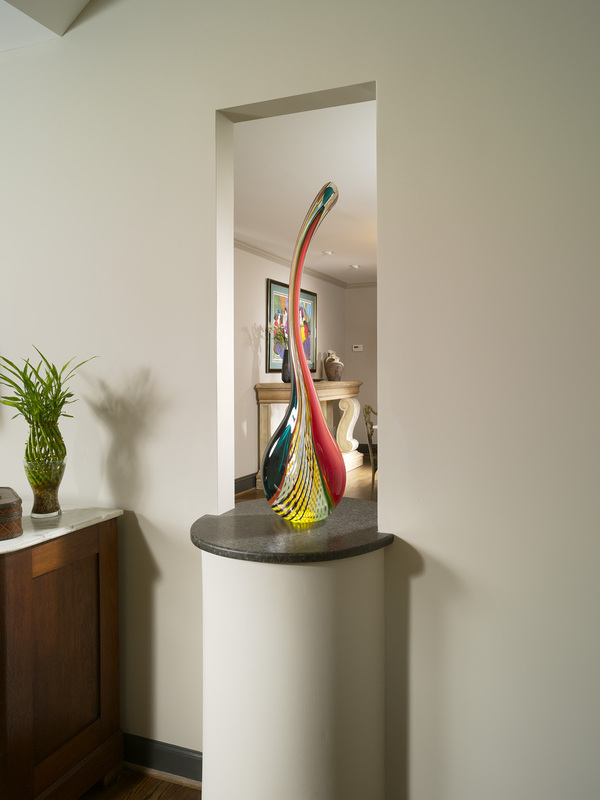 The entry has a properly water proofed foundation and a see-through location for the glass sculpture. 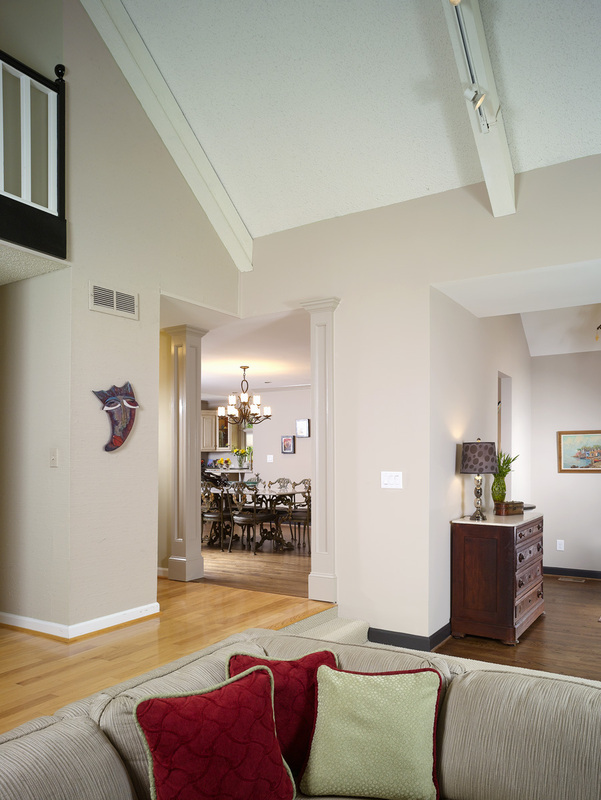 The remodeled entry now invites guests into the living room. 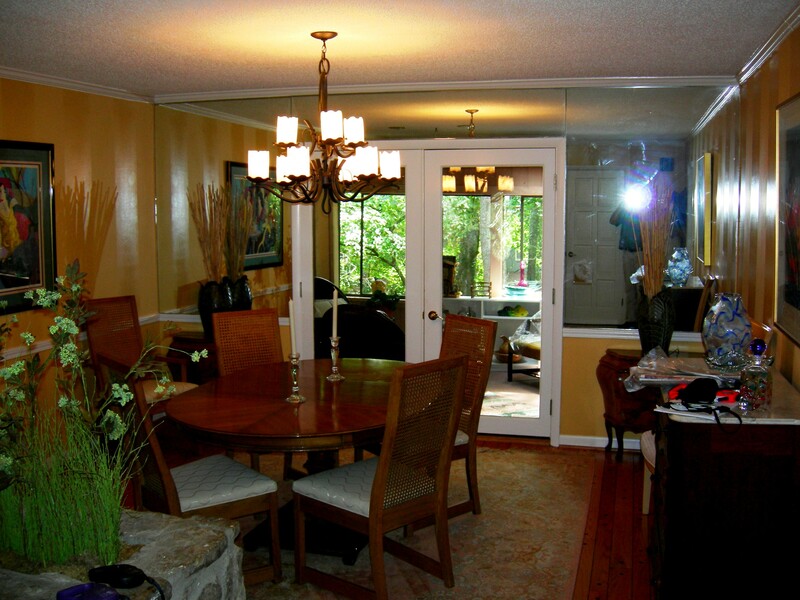 We added a family room that encompasses a media area, a game table, and a wine buffet. In the kitchen, we built a pantry from a garage niche, which created enough storage to need fewer cabinets and allowed for a more open layout. 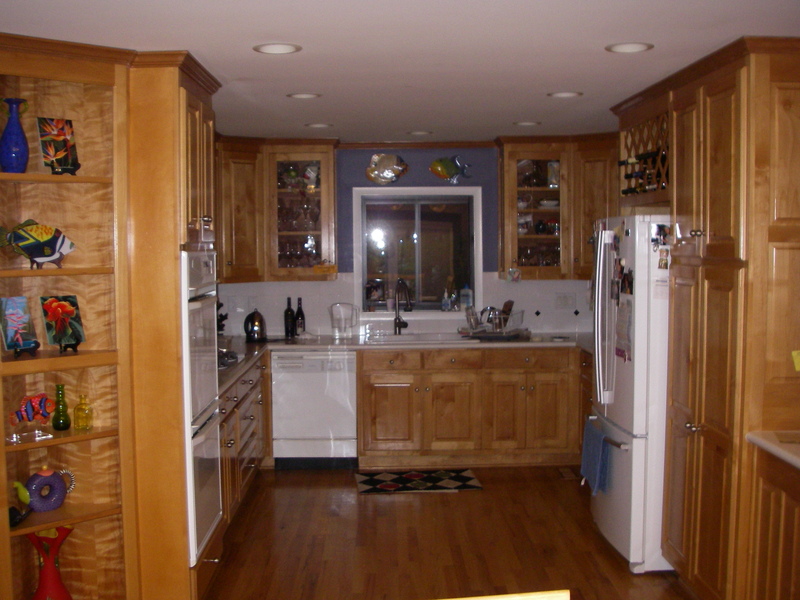 The existing cabinets were reused in the kitchen and buffet. Function, cost and creativity were our accomplished goals. 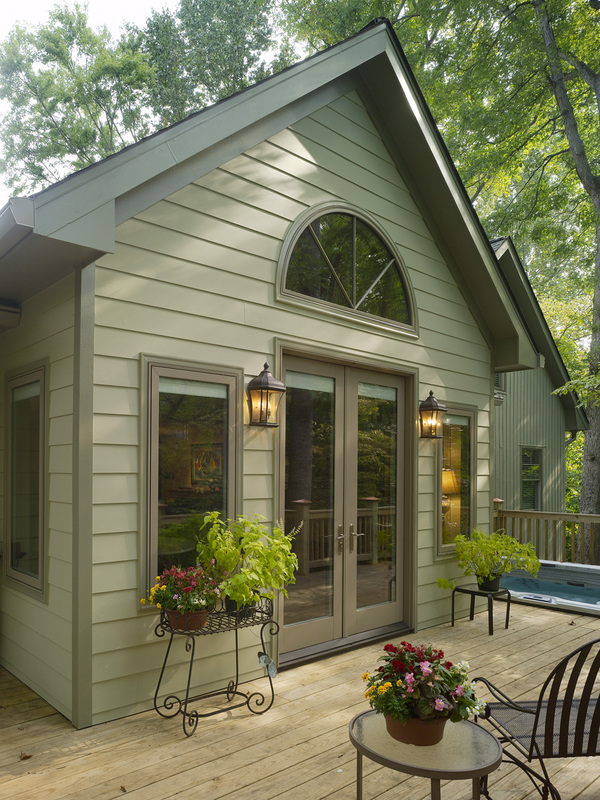 Handcrafted Homes, Inc. won a 2009 CotY Award for the category “Entire House Under $250,000” for this remodeling project.